Engineering and manufacturing work so closely that our engineers become better designers and manufacturers become better builders. We work together as a team, each member doing what it takes to help each other and our customer be more productive. For questions, quotes and orders. 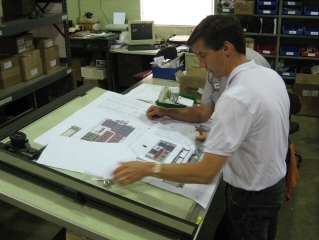 Arrow Engineering is a complete design and build resource that provides innovative and cost effective solutions. Arrow specializes in hydraulic and manual workholding fixtures, inspection fixtures, contract CNC machining and prototypes.